Cape Town - Sports in enthusiasts in Bloemfontein are in for a treat next weekend (April 13) when the Free State Stadium hosts the Athletics Grand Prix and a PRO14 rugby match between the Cheetahs and Welsh team, the Dragons. In a first for the two sports in the province, the multi-code festival will open with a curtain raiser rugby match at 17:00, followed by the much-awaited opening leg of the Athletics Grand Prix Series at 17:45pm which is scheduled to end at 19:15. The timing of the end of the athletics programme is meant to give enough time to sports fans to walk a few feet to the rugby stadium and settle down on their seats in time for the 19:35 kick off. This thrill-a-minute package between athletics and rugby was initiated to fulfil the hunger of the sports-mad Free State fans who adore both athletics and rugby - and is also meant to cement the brotherhood between the two provincial sporting entities. With a nominal fee on offer, one ticket will allow fans free movement to watch Athletics and Rugby. 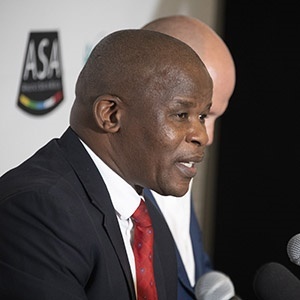 Athletics South Africa (ASA) also disclosed that elite entries for the Athletics Grand Prix meeting will be announced closer to the event. “This is history in the making,” said Aleck Skhosana, the president of ASA. “Having the major federations hosting elite events side-by-side in Free State can only be good for the province and the country. We hope other provinces and federations can collaborate in programmes that will enhance the spectators’ appetite to go to the stadiums by offering packages that will excite the whole family.